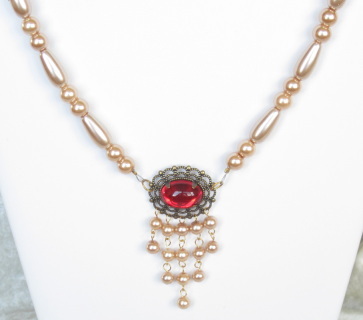 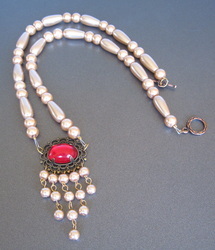 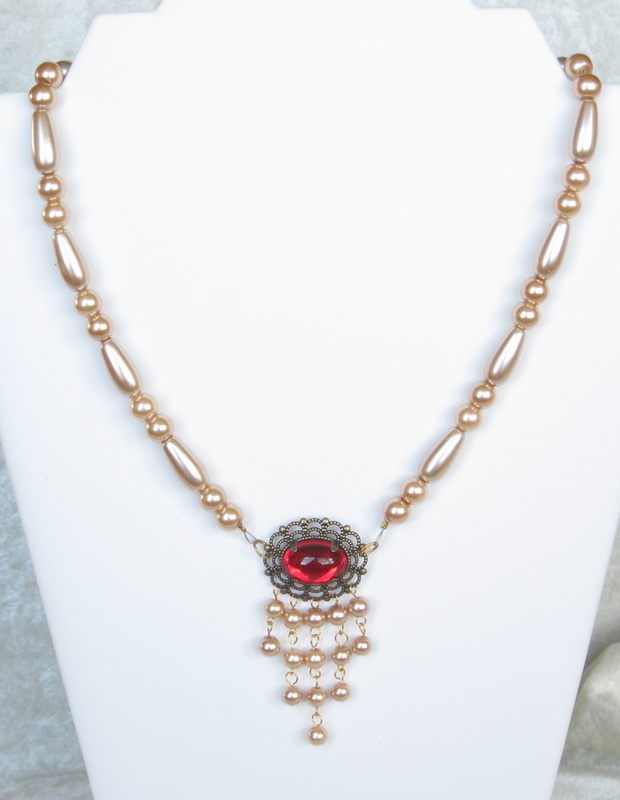 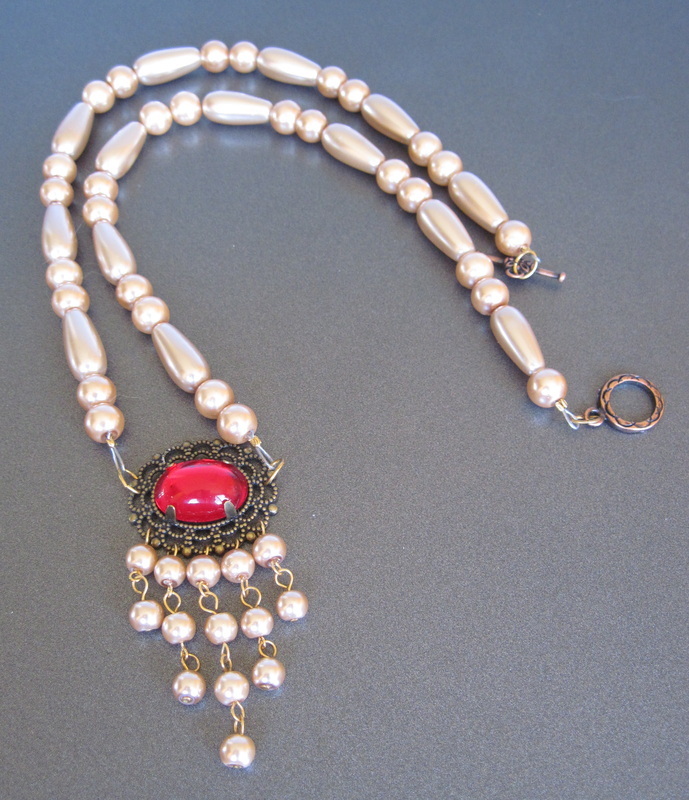 Lady Caterina is a gorgeous, rich necklace and earring set, featuring bronze glass pearls and a glowing ruby red glass cat's eye cabochon set in an antiqued filigree. 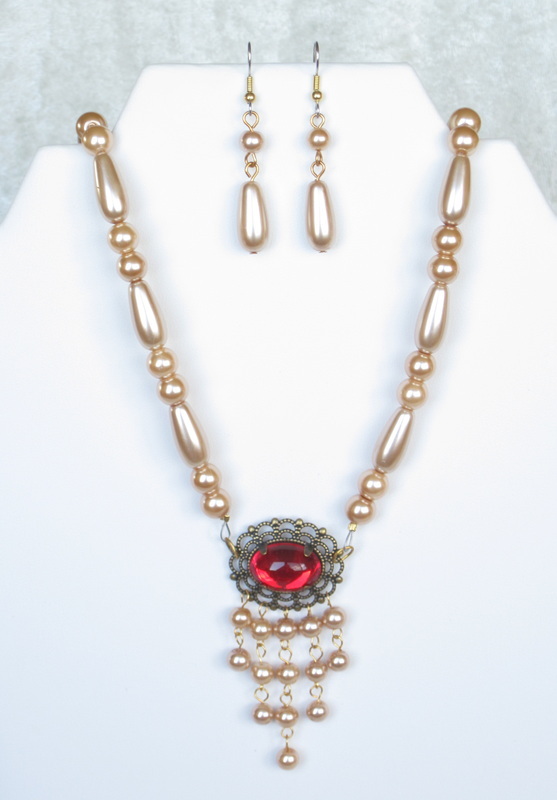 Another limited edition set that will enhance all your special outfits. You'll get lots of attention at the Faire in this dazzling set! 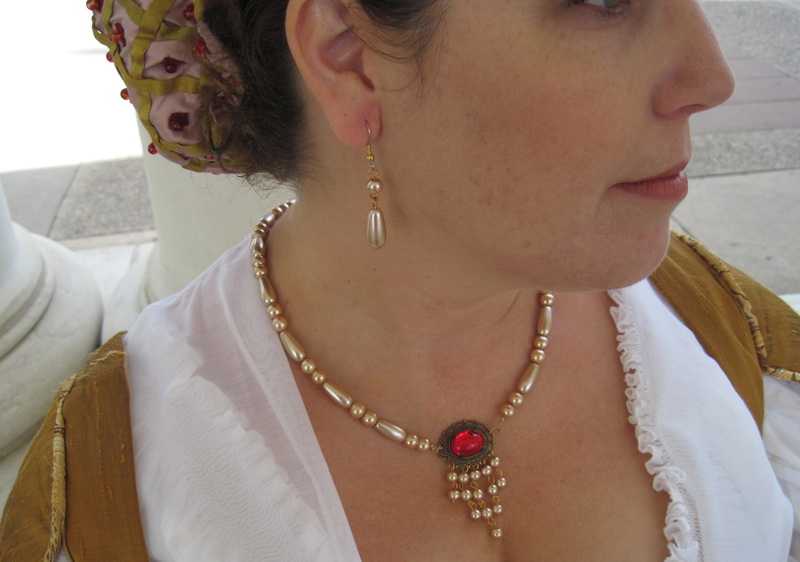 The necklace measures a generous 20"; the matching earrings hang 1 1/2" below surgical steel ear wires.